In addition to tax planning, December is also the time to complete year-end payroll tasks and prepare for the new payroll year. Here are a few reminders to help you close out your payroll for this year and get ready for next year's payroll taxes. What's New With Payroll Taxes? New Earlier Filing Date. Annual payroll tax reports (W-2s and 1099-MiSC forms) must be given to employees and non-employees by January 31 of the following year. January 31 is also the deadline for filing these reports with the Social Security Administration (W-2s) or the IRS (1099-MISC). Changes in Employee Withholding. The Tax Cuts and Jobs Act may result in lower taxes for some taxpayers for 2018 and beyond. This may mean that employees will be asking to change their withholding on their W-4 forms. Change in Backup Withholding Rate. For non-employees for whom you must take backup withholding from their payments, the backup withholding rate has been reduced (for 2018 and beyond) to 24 percent, down from 28 percent. Employees may complete W-4 forms at any time, and the end of the calendar year is a good time to remind them to review their W-4 to make sure the information is accurate, and the amount they want to be withheld from federal income taxes is accurate. If your state requires an income tax, employees should also check their state's income tax withholding form for changes and withholding amounts. Just a reminder that employees can change their W-4 forms as often as they want throughout the year, just not more than once for any one paycheck, of course. The W-9 form is similar to the W-2 form, but it's for non-employees. The W-9 form is used to verify the person's address and tax identification number. The tax ID number is the more important information because the IRS uses this to match 1099s filed by taxpayers with 1099s filed by employers. If you send out your W-2 forms (the year-end tax summary for employees) and 1099-MISC forms (year-end tax summary for independent contractors), now is the time to order forms for this tax year. If you have a payroll service, check to make sure they have what they need to prepare these forms in January. Remember, W-2 forms and 1099-MISC forms must be submitted to individuals before the end of January. You can get W-2 forms from office supply stores, or from the IRS. You cannot use a W-2 form you download from the Internet because the red ink on Copy A is special and can't be copied. You must use the official form. Before you prepare W-2 forms, check with the Social Security Administration to be sure employee names and Social Security Numbers match and are accurate. See the SSA's Business Services Online section for more information. Before you send a non-employee, like a contractor or business that you have paid, you must verify the tax ID number for that person. As noted above, you'll need to send out a W-9 form to get the address and tax ID number. Timing of Employee Wages. Be sure employee wages are recorded in the correct year. Using the accounting concept of constructive receipt as the date when the person has unrestricted access to the funds is what counts. So put wages into the correct year by using the paycheck date. If you are paying employee wages for the last week in December, but the paycheck is dated in January, that income counts toward January. The exception is if for some reason you pre-pay wages in December, for salaried employees, for wages they are owed for January. Read more about timing employee paychecks at year-end, as well as other year-end income and expense timing issues. Uncashed Paychecks. Determine how you will deal with employee paychecks that have not been cashed for a long time. You must make a sincere effort to find the employee (use certified letters so you can show that the letter was undeliverable). If you can't find the employee, you are required by state law to turn over un-cashed paychecks to your state revenue department. They will continue to work to find the individual. You will also need to account for the payroll liability for the un-cashed paycheck in your accounting system. The way it's handled depends on the likelihood that the employee will cash the check. Taxable Benefits. 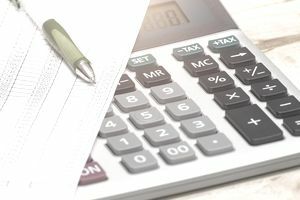 Determine taxable amounts for employee W-2s for certain benefits, including percentages for personal use of company vehicles and cell phones by owners and employees and employer-paid educational expenses that may be taxable. Check with your tax advisor on the reporting requirements for these benefits.